In this example is created a dashboard application with summary and chart displayed in each widget. 1. Create a new Dashboard application. 3. 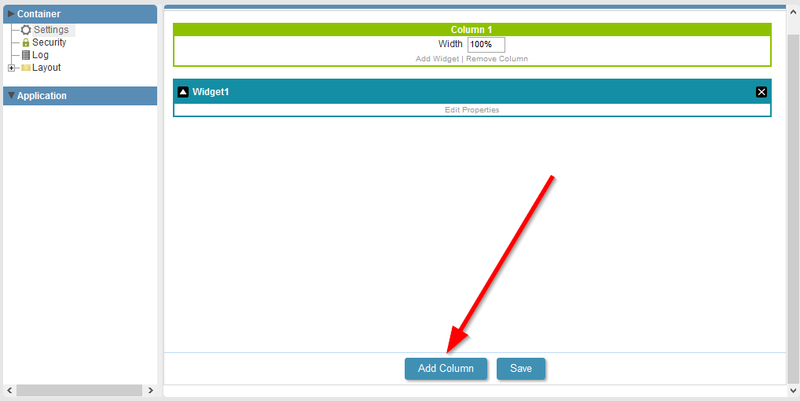 In the first widget, click the Edit Properties link to add an application to the Dashboard. 4. Set the Dashboard title, the connection to the application sample_grid and click Save. 5. 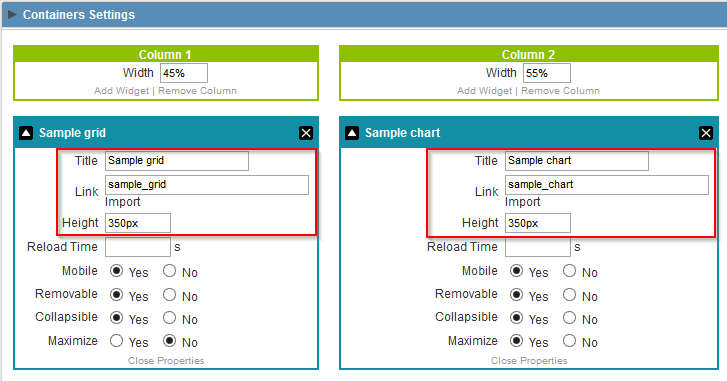 Repeat the previous step to create the link to the application sample_chart. 6. Click the Run button on the toolbar.